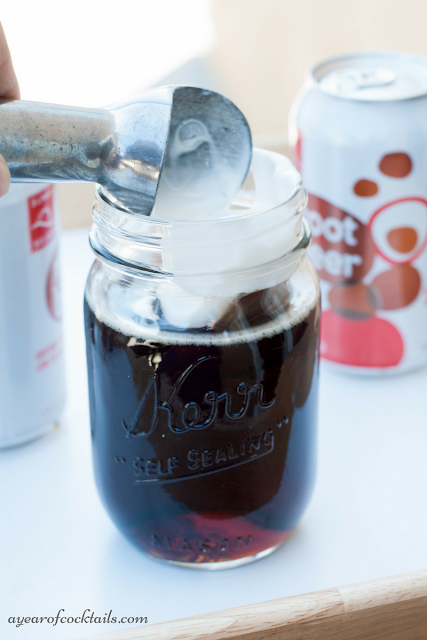 Spiked Root Beer Float. I mean come on! Who had a root beer float as a kid? Show of hands. This cocktail right here kicks the old classic drink up a notch. All you have to do is add whipped cream vodka. Huh, who knew? Did you know that today, August 6th is National Root Beer Day? Yup, so that means......there NEEDS to be a spiked version of this timeless drink! I do enjoy kicking up classic drinks we enjoyed as children up a notch or two! I've done it twice so far in my Surely Not Temple and in my Mr. Robert Roy (Roy Rogers grown up name). I was never a HUGE fan of root beer floats. Don't hate me! I dunno........something when that ice cream meets the root beer. It was never my favorite. Now my gramps used to be asked to make them a lot. I guess he had the ability to make a good one? Not sure. I would get mine.....and then quickly eat all of the ice cream out of it and then very....slowly.....drink the root beer.......or maybe I would dump it? Can't quite remember. Anyways, I figured if I was to add ALCOHOL to it, I might just like it a bit better. This cocktail is pretty darn easy to make. Well although technically there are 2 different ways people make them. It's kind of like the toilet paper debate. Does the end of the toilet paper go over or under the roll. Correct answer is over. But which side am I on in the root beer float debate? 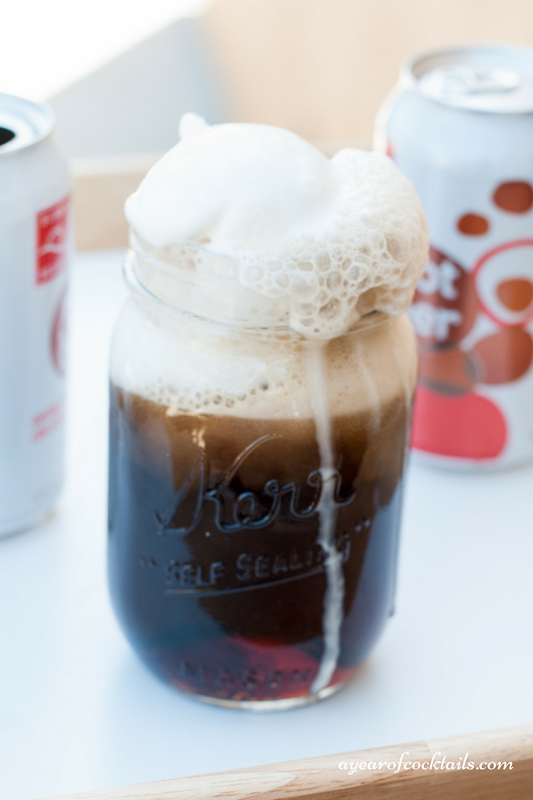 I'm a root beer first kind of gal! 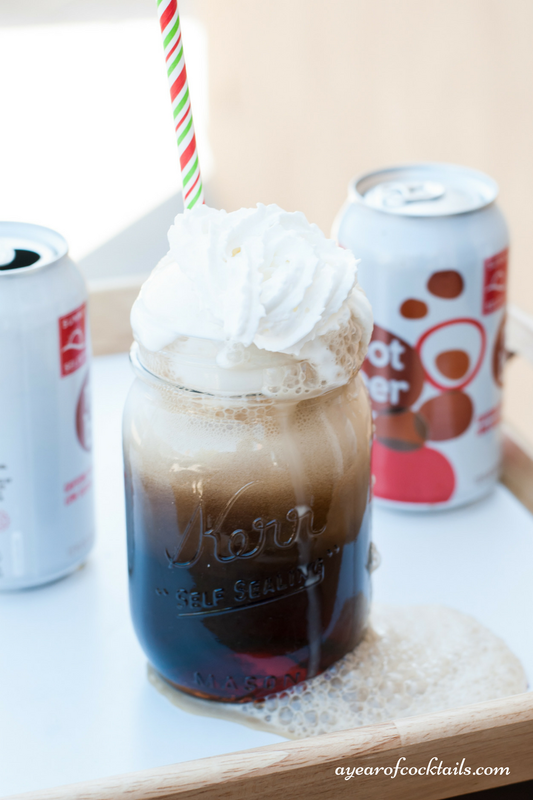 Root beer and whipped cream vodka go in first. Once you've got that all together all you need to do next is put on the toppings! Whipped cream for sure.....but why stop there? Add some more toppings that you like! Sprinkles, marshmallows, chocolate chips, whatever suits your fancy! There you have it! 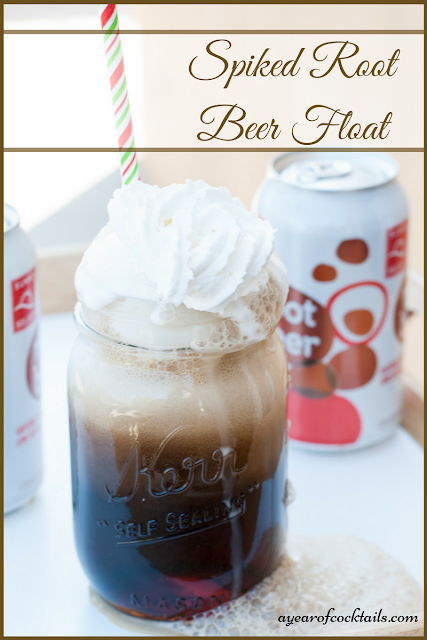 A Spiked Root Beer Float! Now you can enjoy a childhood classic drink a whole new way! Cheers to kicking things up a notch or two! 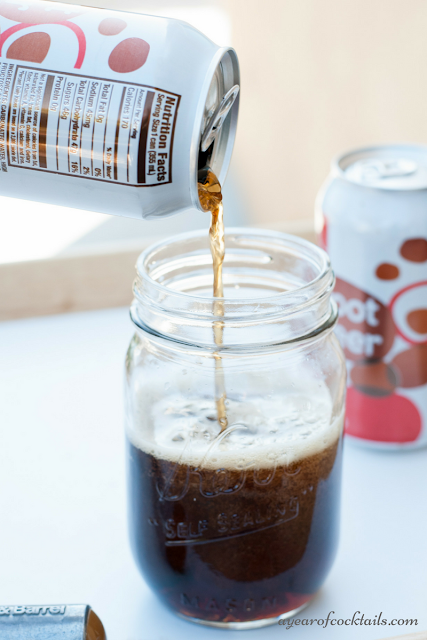 Pour root beer into a large glass. Pour in vodka and stir. Next scoop in the vanilla ice cream. I hope you enjoyed this new recipe as much as I enjoyed creating it! These look so fun! I have never thought to spike it before!!! There is something so wonderful about a rootbeer float! Now this is fun, I'll have to share this with my bestie. She'll the adult version of a root beer float. Oh man this sounds absolutely delicious!! So I’m not a big root beer fan, but I’m thinking that with enough spike(ness) that it wouldn’t even matter 😂 This sounds awesome. 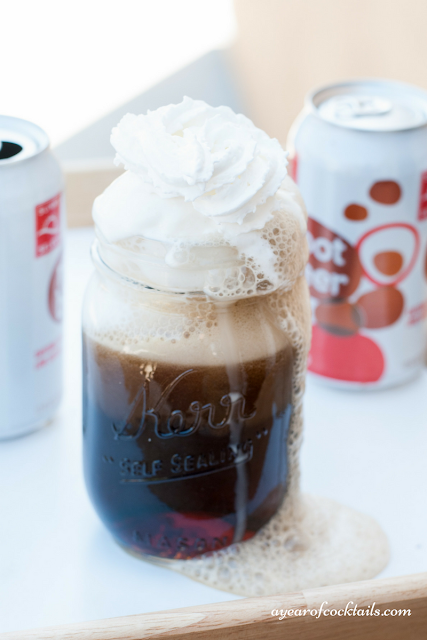 Sounds like a fabulous twist on a childhood classic - I'm a put the ice cream in first and then pour on the soda - it makes more froth and looks super fancy... someone has to be difficult right?